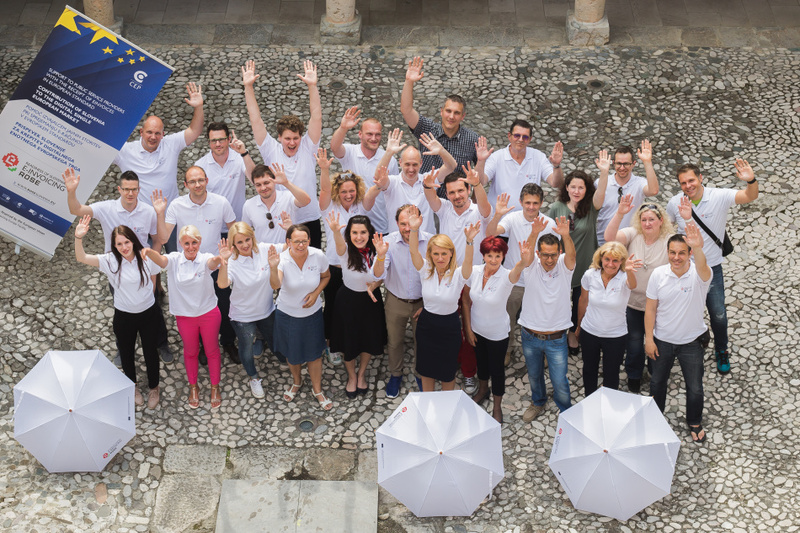 > Home > News > Slovenia welcomes sending of eInvoices in European standard to public service providers since 1 June 2018 – we are ready! Slovenian budget users and public service providers who are not budgetary users, are now able to receive EU standardized eInvoices. In Slovenia, conducting business with eInvoices in public procurement is now in accordance with the European Directive on Electronic Invoicing in Public Procurement (2014/55/EU). Slovenia is among leading countries in establishing conditions for eInvocing in public procurement and thereby reliable actor in strengthening the EU Digital Single Market. In public procurement you can send an e-Invoice to all Slovenian contracting authorities and to most contracting entities in UBL 2.1 or UN/CEFACT CII, the two syntaxes defined in the technical part of the European standard EN 16931. For contracting entities which are budget users, such eInvoice will be received through upgraded Access Point at the Public Payments Administration of the Republic of Slovenia which will convert the e-Invoice in UBL 2.1 or CEFACT CII syntax into national eSlog 2.0 syntax. eSlog 2.0 also represents an upgrade of the previous national e-Invocing standard as it has been aligned with the core elements of the semantic model of the EN 16931. Contracting entities which are not budget users have the possibility to receive such e-Invoice trough a newly established Access Point at enterprise ZZI d.o.o. UBL 2.1 or CEFACT CII invoices can be send through AS4 or AS2 messaging protocol to both Access Points and end receivers since they became part of the European Commission's Connecting Europe Facility (CEF) eDelivery network which uses AS4 messaging protocol as well as OpenPeppol network where we use their AS2 messaging protocol. 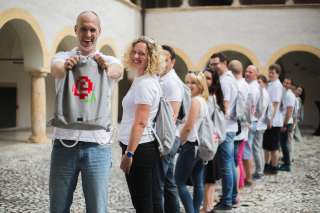 The eInvoicing developments in Slovenia were financially supported by the EU through the Connecting Europe Facility (CEF) instrument. Collective work of the Public Payments Administration of the Republic of Slovenia, Chamber of Commerce and Industry of Slovenia, enterprises ZZI d.o.o. and Mojdenar IT d.o.o., and Centre for European Perspective, shows that digital innovation brings benefits to the public administration, enterprises and to the European citizens as well. The ROSE Action concluded with the meeting of all 56 actors, involved in the solution development. Consortium of partners from both public and private sector is already preparing new steps towards effective EU Digital Single Market. Conference ROSE "eINVOICING - CRUCIAL FACTOR OF BUSINESS DIGITALIZATION"
"The sole responsibility of this publication lies with the author. be made of the information contained therein."